We teach the every day person hair styling or makeup applications. Makeup workshops, Hair styling Lessons. Our focus is on You the Client. All Your styling needs for special events ,weddings ,Photo shoots,family portraits DIY workshops ,girls night out, make overs ,tv/film. editorial Educator to salons and clients plus loads more Description I travel to any location l australia wide to create Hair / make up. 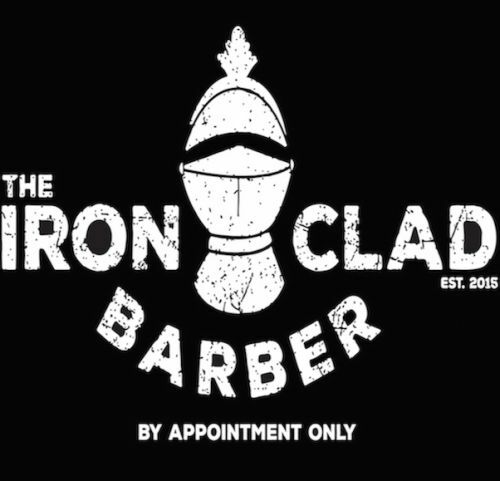 Introducing 'The Ironclad Barber'. Wagga's newest and most refined Barber Shop. Specialising in men's and boys style cuts, traditional hot towel cutthroat shaves, tailored Groom and Groomsmen wedding day packages, and official supplier of premium shaving products and accessories. The Ironclad Barber Shop has been purpose built for old school service and the best hot towel shave a man can get. For those who love the smell of sandalwood, the charm of a Chesterfield lounge, and a complementary beverage on arrival there is truely no better way to unwind at the end of the day. Bookings are essential and are available via the website. You control the bookings and will never miss an appointment with automated sms and email reminders. Gift vouchers are also available online for all services and products. So what are you waiting for? Book your next haircut, beard trim, or hot towel shave online today and experience what real barbering is all about. Beauty & Health Focus offers over 30 years of experience to keep you healthy and beautiful.I&iuml;&iquest;&frac12;??&iuml;&iquest;&frac12;?&Acirc;&cent;? ?m a qualified Beauty Therapist with passion 4 top quality effective natural products. I have been personally using these products for more than 30 years, all my family use them. We use these products in the salon with successful results for the clients. These are products that you will want to continue to use. Beauty & Health focus offer a range of services including body waxing for the legs, bikini, brazilian ,underarms, lip, chin ,brow shaping & tinting ,OPI Gel polish, electrolysis, permanent hair removal ,Skin analysis ,nutritional analysis ,body wraps, manicures, pedicures, facials, make-up to suit all occasions, massage therapy ,spray tanning, self tanning application and brilliant & effective products which are available in the salon or online http://www.ebay.com.au/usr/elevatelifestyle?_trksid=p2053788.m1543.l2754 At your convenience, by appointment only.